Our aim is to put the project back on track with the help of a leading building industry mediator free of charge. The series will address the common pit-falls that arise and promote good building practice. Are you an unhappy builder who just wants to get the job done or a desperate client locked in a stand-off whilst living on a building site? We have had a major problem with a conservatory upgrade since being built in September 2013. The sequence of events are as stated below. Builder no 1 removed old wooden conservatory down to half brick base and rebuild with upvc and tiled roof. Builder came back numerous times over 10 months to remedy damp patches on roof without fully solving. At the builders suggestion he advised we get a tradesman who specialised in roofs and he would pay. 18th October – Job Posted on Mybuilder.com and received reply below from 2nd builder. We as an experienced company would like to give you a free competitive quotation and advice for all your work that’s needed. We hope to help you soon . Quotation received on 11th November ( attached) and job offered to this company. On the basis of this comment £500 handed over. Two days later first rainfall and awoke to find conservatory ” swimming in water”. Worse situation than prior to job that I paid £500 for. 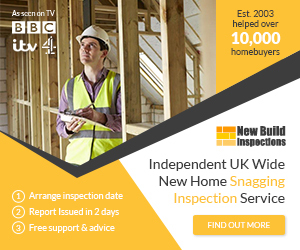 When the builder returned to view property and leak, he described that the roof had been built with an incorrect ( shallow pitch) and that to repair effectively would require another £400 pounds. The basis for my claim is that, no reference was made to the build being an issue, whilst quoting or carrying out the work. To the contrary builder no 2 was happy to carry out a quick job, receive £500 then when the job has proved to be unsuccessful evaded numerous requests to right the situation. Please find attached a copy of the quotation for your roof work. We have Thursday afternoon free this week, we will thereafter be booked for the next 5 weeks. have had wet room installed by Mobility+ which does not meet what was explained would be done when visited on 2 occasions! The work had to be paid for in total prior to installation, which was against everything I wished or know to be advised! Apparently, this is common practice with mobility firms however. Currently waiting for Regional Manager to attend property as they have been out today to rectify issue and they are still not doing what they had said they would do, and are now stating it can’t be done! Have paid £16,000 for this work and no recompense whatsoever!